While working the tourists on Hollywood Blvd. as a street performer I always carried a pocket camera, when things got slow I would make chintzy productions with the other performers then stay up all night editing. After making over 300 short films I wrote a movie about life as a Hollywood Character and filmed it over a 3.5 year span. Enjoy. A man travels to Los Angeles seeking fame but ends up in a dinosaur costume at the Hollywood Highland Mall offering photos to tourists for cash donations. Written & directed by Abe R. Rated. 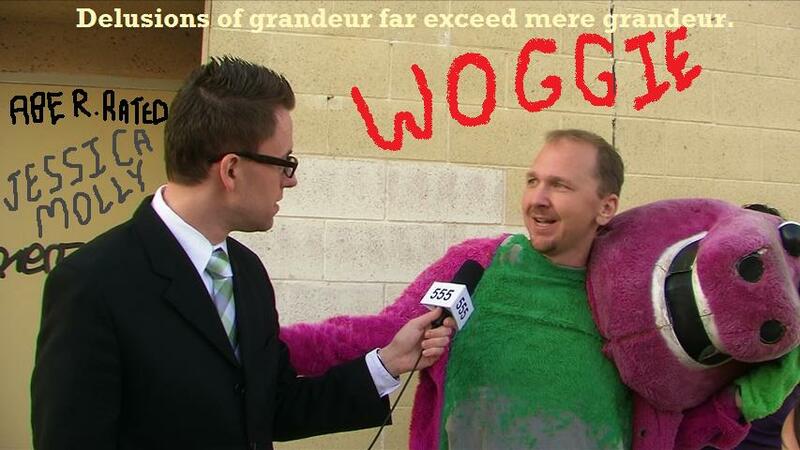 12 Webisodes taken from the feature film Woggie (2012). This entry was posted in Hollywood Characters, Hollywood Reality, Woggie Webisodes and tagged abe r rated, documentary, hollywood blvd, hollywood blvd characters, hollywood boulevard characters, hollywood characters, hollywood highlander, reality, rich ramsey, short films, walk of fame, webisodes, woggie, woggie movie by Abe R. Rated. Bookmark the permalink.